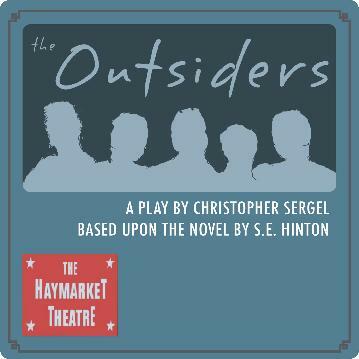 The Haymarket Theatre’s first fall show features a gang of outsiders including Ponyboy, his two older brothers Darry and Sodapop, his good friends Johnny and Two-Bit, and the mean-looking and ill-mannered Dallas Winston. As they struggle to navigate through a set of adverse circumstances caused by the escalating rivalry between their gang known as the “greasers” and the wealthy “Socs” (Socials) of the city’s west side. Ponyboy and Johnny seek refuge after a violent run-in with the Socs gets out of hand, but they find they are unable to run from their troubled pasts. This action-packed adaptation of S.E. Hinton’s classic novel will have audiences on the edge of their seats.